Seen at the afternoon performance on 25th February 2017. With an extreme jolt, I realised it was exactly 31 years since I saw the original London production… and that was around 8 years after that had opened. Anyway, I am pleased to report that an old friend is in very good shape indeed. The pernickety may feel the columns in Matthew Wright’s set are a trifle insubstantial, but they have to tour the country; and anyway, they work perfectly – for the closing tableaux, in particular. The rest of his set is mostly highly impressive – his balcony, combined with Mark Howett’s “stellar” lighting provides a glorious dignity in the key scenes, while his “bus” and “debating chamber” match the theatricality of the originals. Only quibbles here are the rather perfectly shaped protest signs… and Evita’s dressing table being the same 1970s design as my mother’s. The show itself holds up even better, feeling relevant in present times – occasionally uncomfortably so in its reliance on “alternative facts.” David Steadman produces a superb sound from the orchestra pit, and Dan Samson’s trade mark care ensures we hear it and the actors clearly. 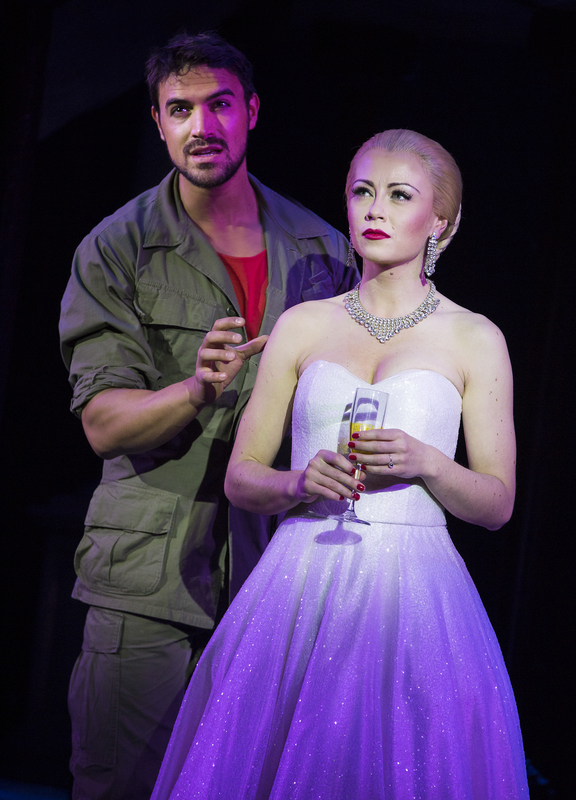 In the title role, Emma Hatton produces probably the most dissembling Eva ever. 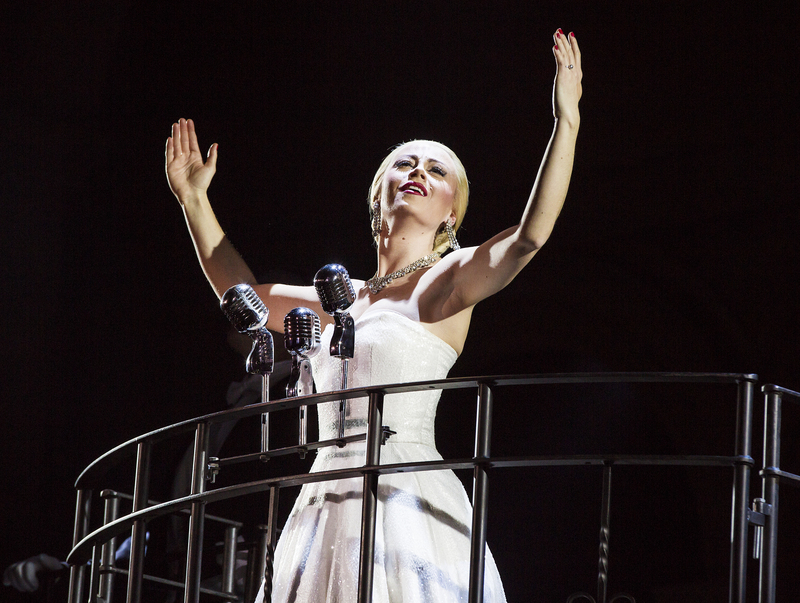 Her “Don’t Cry For Me, Argentina” surely ranks as one of the least truthful performances in musical theatre history – in the best possible way. Lying her head off through the entire “big number,” she was. When I find myself stifling a laughing snort at the line “All you have to do is look at me to know, that every word is true,” I know the actor has hit her target. 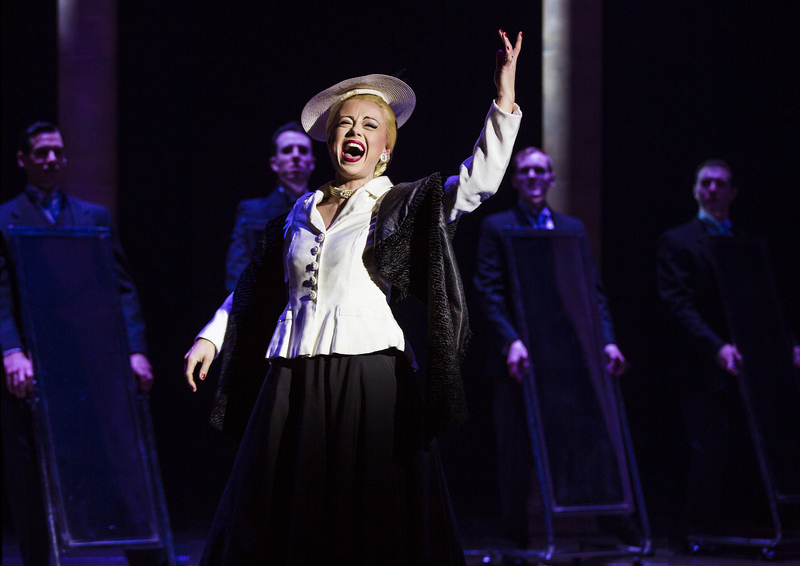 If at times she had an odd resemblance to Elaine Paige both physically and vocally, her own interpretation was clear – and her detailed growth in confidence and raging despair at premature decline were impressive. Her husband, Peron (Kevin Stephen-Jones) manages the difficult task of concealing who holds the real interest of the people, and makes the insertion of film-written “You Must Love Me” seem almost welcome – no mean feat. Gian Marco Schiaretti finds the dry sarcasm in commentator Che with ease. His connections with Eva are calculatingly, chillingly static – poisonous yet with the grudging admiration of one aspiring leader to another. One unfortunate “Alvin and the Chipmunks” moment in “Oh What A Circus” ignored, also a faultless vocal performance. A special mention, too for Mistress Sarah O’Connor. 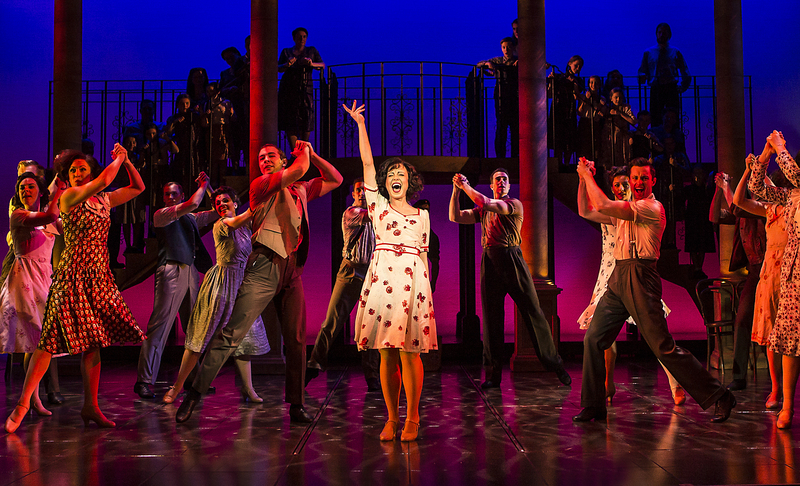 An absolutely definitive “Another Suitcase In Another Hall” gave this over-done number a fresh vitality, deep meaning and show-stopping significance. Oscar Balmaseda’s creepy Magaldi is another highlight, remaining an absolute loser to the end, in an amusingly strong characterisation. In the smaller roles, Lewis Barnshaw’s Priest wisely resists the temptation to sling holy water in time with the music, and frankly Aristocrats George Arvidson, and particularly snooty ladies Jessica Ellen, Kellie Gnauck, Kate Leiper and Chrissie Perkins deserve all they get. Particular praise for Bill Deamer’s choreography, their dance numbers were inventive and beautifully executed. 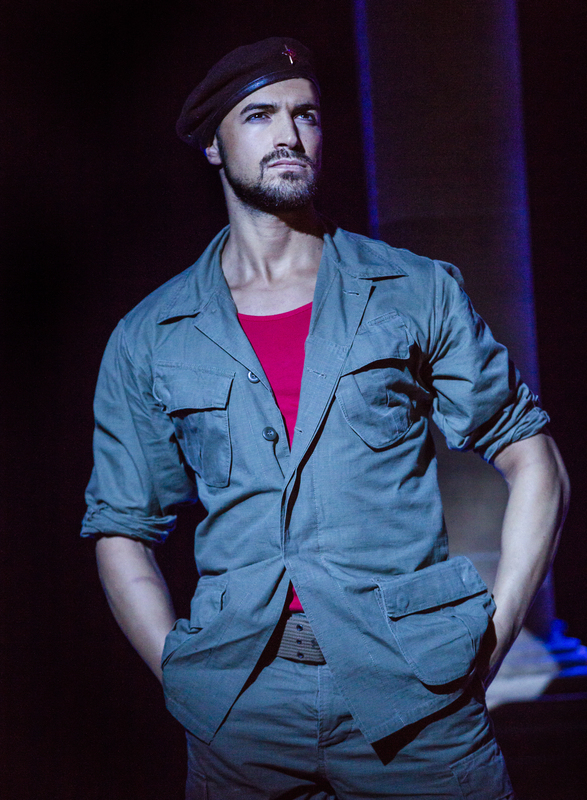 Directors Bob Tomson and Bill Kenwright have created an Evita that may flow a little more Latin-paced than the busy Hal Prince original, but retains a bite hotter than a chilli-pepper when required. A large cast in a well-conceived version, this has to be worth travelling to see, if it comes within striking distance of your home town. Trust me, it’s one ticket worth rolling in for. (On Tour continuing: Oxford 7th to 11th March, Salford 14th to 18th March, Cardiff 20th to 25th March, York 28th March to 1st April, Sunderland 4th to 8th April 2017). See www.kenwright.com for details. Photograph credit: Pamela Raith. Used by kind permission of the New Wimbledon Theatre.